Our SNAP&Save program doubles the value of customers’ food stamps (SNAP benefits) at $5 each week. This means that when a customer swipes their EBT card for $5, they receive $10 in market tokens to spend on vegetables, fruit, meat, eggs, cheese, mushrooms, bread, jam, maple syrup, honey, garden plants, and more – all directly from the people who grow and produce these nourishing products. We should always try to help the needy and poor people by offering them some food, fruits and vegetables and whatever we can. This will definitely make us to live a happy life. Helping tendency should be developed from the young age. We should cultivate the habit by giving our children some money to give it to the needy people and also we should tell them about the importance of food and the farmers. We should not waste the food because there are many people who don’t have a single time food and starving for it. We can find this topic in many sites to know more about it. The program continues to be incredibly successful and influential. Every year, the number of SNAP users at market has grown by 10-12 regular customers per week. In 2013, we doubled over $16,000 of SNAP benefits. We averaged 63 EBT transactions per market and regularly had 70 or 80 transactions per market. In 2014, we are on target to double SNAP benefits at the same 2013 level. 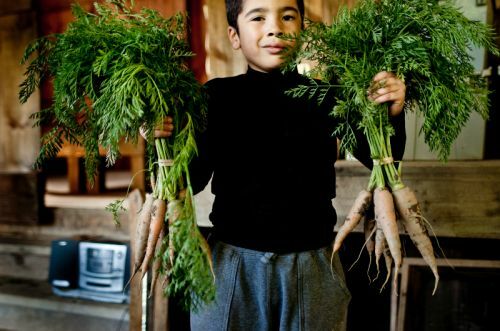 In total, we help many hundreds of individuals and families put good food on their tables through the entire growing season. Here are some quotes from recipients of the program. In the past years, we have collaborated with the Food Bank of Western Mass. to screen and help people apply for food stamps at the market. We also provide numerous recipes through our website and have cooking demos at market to assist people in the preparation of whole, seasonal foods. Every week we have musicians and artists at market allowing hard-working parents to relax, to shop, and to be inspired! So that’s SNAP&Save, and WE NEED YOUR HELP! 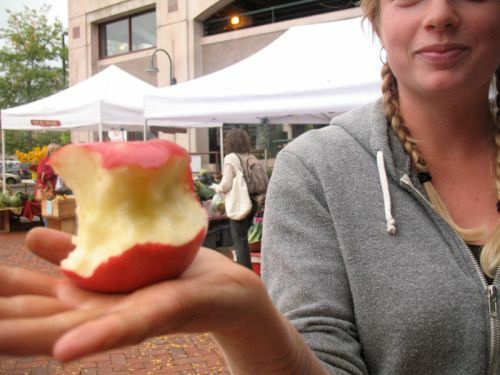 First of all, please tell everyone you know that all the farmers markets in Amherst and Northampton accept food stamps. Tell them that all the markets in Northampton and Amherst will double the value of any customer’s food stamps (at least $5). SNAP&Save is funded entirely by individuals and businesses in our community. Please help! At the moment, we are matching $5 instead of $10 so that our funds will last through the end of the market season. Contribute cash and checks directly at the Tuesday Market tent (purple awning). Or if you need your donation to be tax-deductible, make your check out to CISA with SNAP&Save in the memo line or click here to donate online.